With their short, sharp blades, the delicate scissors by Hay are suitable for the care of fingernails, as well as for precision needlework. In addition to the straightforward and elegant design, the scissors also feature a special colour gradient. The blades are manufactured from carbon making them silver, whereas the handles are gold, thus giving the tool a particularly elegant effect. Individual image of the delicate scissors by the manufacturer Hay. 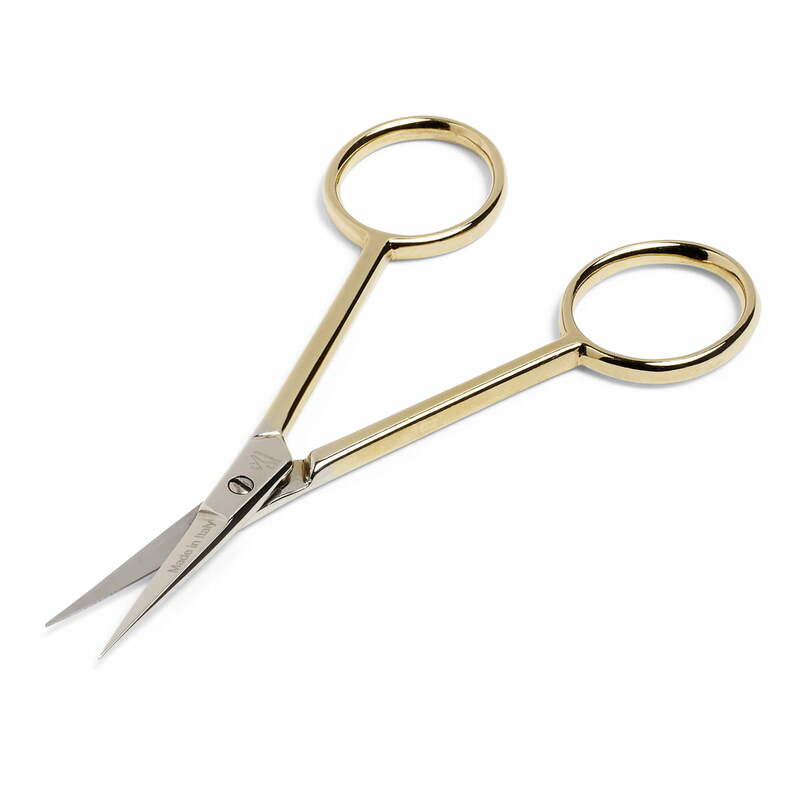 Sharp blades for delicate hand work and an attractive colour gradient from silver to gold make up the special properties of the scissors.